We know that procedures are vital for classroom management. But is it possible to create classroom procedures in a way that honor’s student choice and agency? 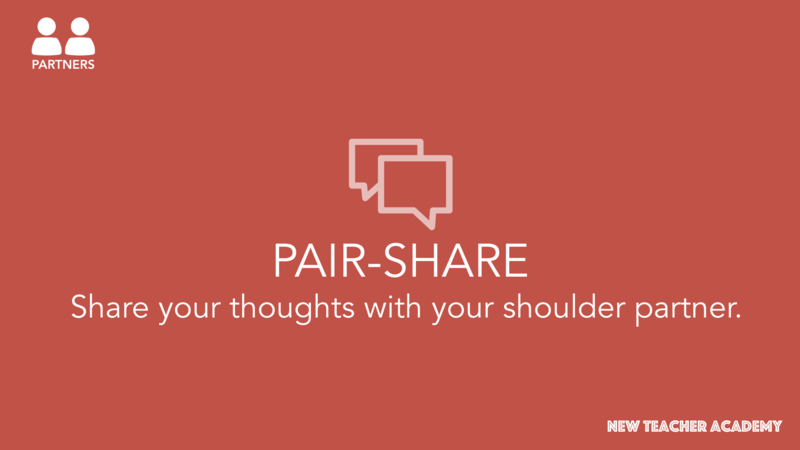 In this podcast, we explore a specific, practical strategy for developing classroom procedures together as a community. Whether we realize it or not, procedures exist all around us. When you turned on your smartphone to listen to a podcast or powered up your tablet to read this blog post, you followed a set of procedures. When you go check out at the grocery store, you follow specific procedures, from the guesswork moment of “which line is faster?” to the moment you get your receipt. Procedures set the expectations for how things work. They are those systems and structures that help things run smoothly. Often, these procedures seem invisible, based on the visual cues of our environment (an idea that we will explore in the future when we look at UX Design). In many cases, these connect to the norms (another idea we’ll explore in the future). But sometimes the procedures are unclear and in these moments, you might feel confused. You end up doing things the “wrong way” even if you have the best of intentions. The same is true of a classroom. Students walk in on the first day unsure of how things work. If they’re older, they’ll probably have a general sense of how things work and where things go. But the classroom space is unfamiliar and the expectations are unclear. Often, teachers will take the whole first week to go over classroom procedures with the students. Your students experience a sense of ownership. When they get to develop the classroom procedures, they experience more voice and choice in the structures and systems of the community space. This sends a powerful message that they belong and that you value their input. You model conflict resolution early. This process will include some conflict and you will have some moments of give-and-take. But that’s okay. You are modeling constructive criticism and conflict resolution early on in the year. You set the tone for a democratic classroom where every voice is honored. Students should leave the experience feeling like they have a place in your classroom. There are many different ways to develop class procedures democratically but I thought I’d share one specific strategy that worked well for me. Step 2: As a whole class, we go through the sticky notes and look at questions that are similar. You can do this by having students read and add questions together in a crowd or you can do this by asking the questions as the teacher. Step 3: Take the most common questions and put them into this procedure grid, which is based on the methods of grouping (individual, partners, small group, and whole class). You can check out what this looks like by watching the video at the bottom of this post. Step 4: As a whole class, we collectively decide on the procedures. It helps to encourage students to come up with a strong rationale for their procedures. For example, students might say that headphones are fine individually but they are disrespectful when working with a partner or listening to a teacher. It can be tricky. Some students find it disruptive if you allow students to throw something away direct instruction. Others get anxious having to wait. So, there’s a need in this phase to negotiate these procedures together. In the process, students learn, not only what they are allowed to do but why. Step 5: Create an anchor chart or poster with the procedure grid. This is a chance to remind students about the class procedures and treat misbehavior as a learning opportunity. I found that it also helps to include the grouping in your slideshows, to reinforce the ideas in the procedure grid. So, if students do a warm-up and see the icon for individual work, they can check the procedure grid if they are unsure of what to do. It also helps to type the procedure grid up and keep it as a handout for new students who arrive later in the year. Note that this takes a full class period. However, it saves time in the long run, because you’re not spending weeks on classroom procedures. 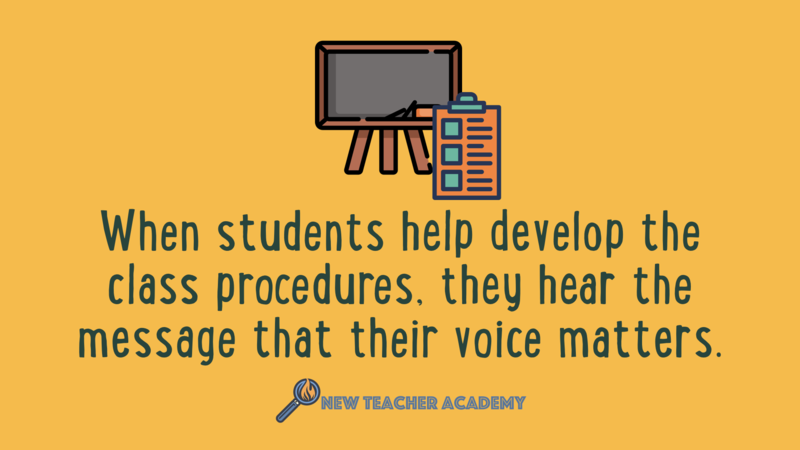 By day two or day three, students generally understand how things work and by the fifth or sixth day, you might take the anchor chart off the wall. The procedure grid is a visual representation of how the class works. However, note that it’s not comprehensive. You will still have to show students where items or located and how to turn in classwork. You will still need to develop class rules or norms to set other behavioral expectations. But this is a great starting place for general classroom expectations. The goal is to increase student ownership and buy-in while also setting the tone for a class with clear expectations and smooth system.